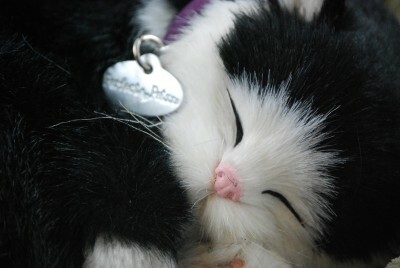 Lovable, cuddly, breathing, life-like cat stuffed animals…the name says it all! 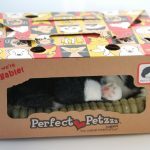 Perfect Petzzz are THE perfect pet for the young, old, and every age in between. 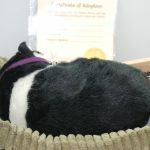 Our breathing stuffed animals are extremely energy efficient and can last 3 to 4 months on one “D” battery. 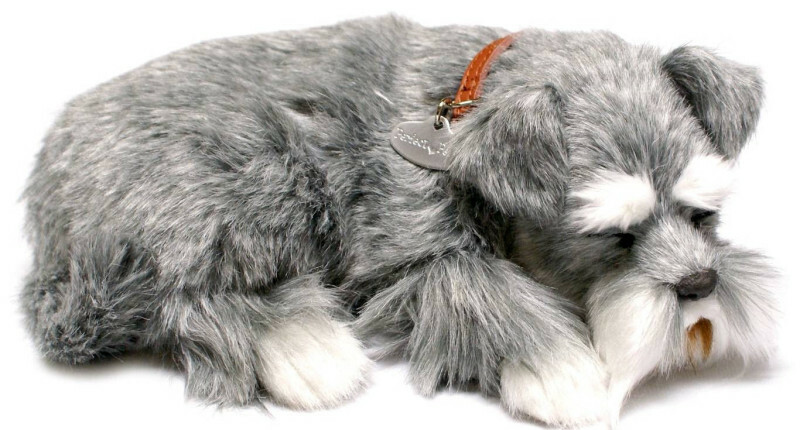 They are made of quality materials and all of their fur is hand constructed. 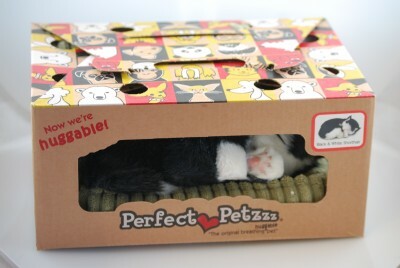 Each Perfect Pet comes with a soft berber bed, a collar and cat tag, a brush, 1 “D” battery, an adoption certificate, and a carrier to safely transport your new friend. 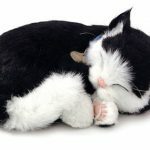 These cats will keep you entertained for hours with their real life-like breathing that you can actually see. You will not believe it until you see it! 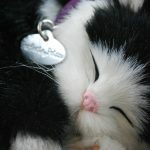 Their stomachs actually move like a real sleeping cat! Check out the video above and see for yourself! Great for children who need to learn how to responsibly care for an animal. 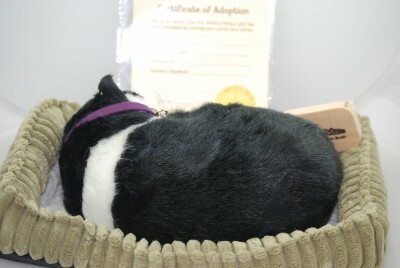 They also make great companions for the elderly, those in assisted living, and those who could use some company! My almost 2 year old granddaughter absolutely loves her kitty. She has named her Tinker.